Casala has expanded the range of dining chairs with 50 variants of the successful Onyx, created by design studio Kommerkors. 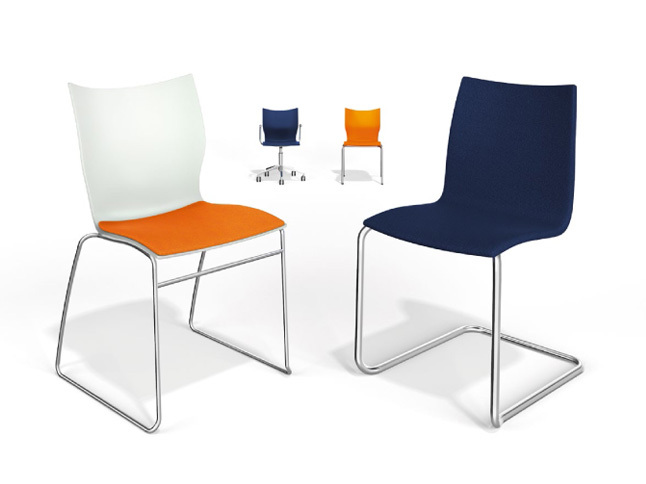 This chair began as a 4-legged design, and is now also available with steel wire frame, cantilever and star bases. A waiting room bench completes the range. Kommerkors has designed an ingenious modular system that can be used to create more than 50 variants of Onyx chairs with only 16 interchangeable parts (10 different seats, 5 different frames, and an add-on armrest).